Draw your letter on a piece of paper and cut it out to make your stencil. You’ll want your letter to be about 2.5 to 3 inches tall. If drawing your letter isn’t your thing you can use a pre-made stencil. 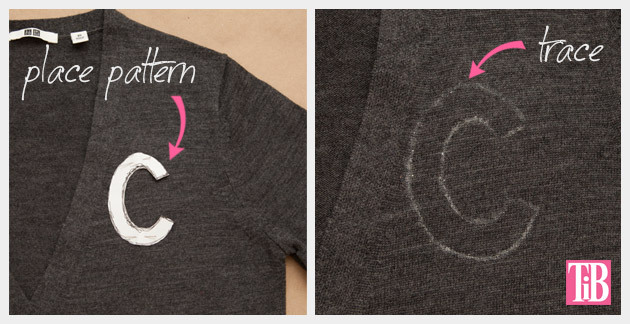 Place your stencil on your sweater and trace around it. I put mine on the upper left chest of my cardigan sweater, you may want to put your sweater on to make sure you like the placement. 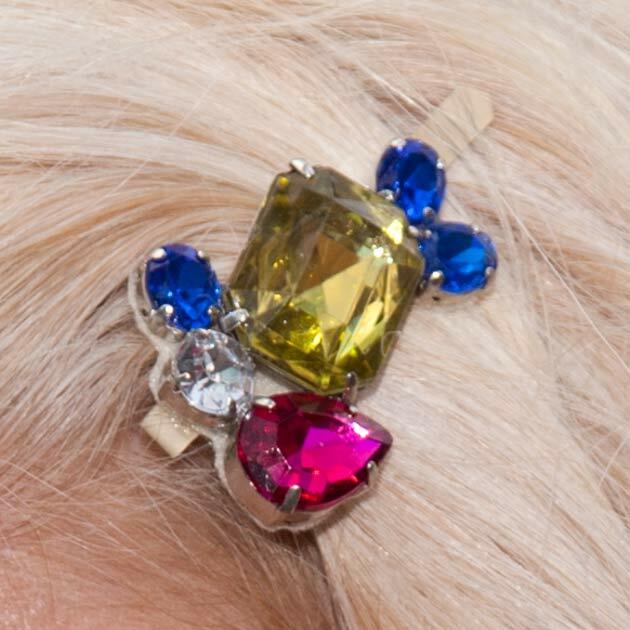 TIP: Before you glue anything, layout your rhinestones, sequins and beads to see how you want to place them. Then take a picture with your phone of your design to work from. Fill the letter in with your Aleene’s Jewel-it glue. 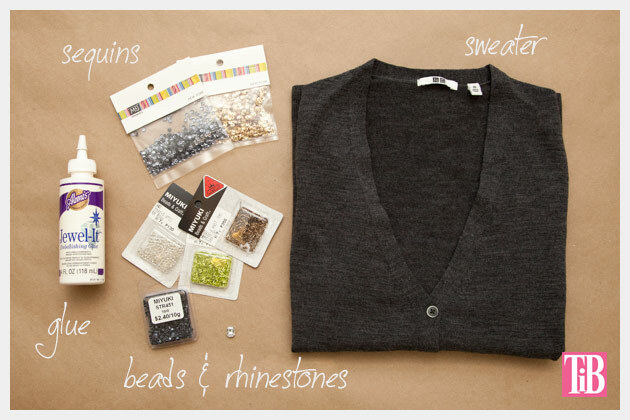 Start filling in with your largest rhinestones or beads first. Then work out from those with your beads, sequins, etc. Let your design dry for a few hours. I recommend using Aleene’s Jewel-it for this project because it can be washed (I don’t recommend putting it in the dryer though) and it holds really well. If you’ve followed my blog you’ve seen me use it many times like here and here, I really love this stuff and I’m not getting paid to say this, it’s just a really great glue for adding embellishments to fabric. This stuff holds! 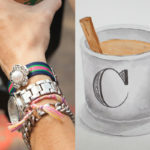 I was inspired to make this after seeing these cute monogram wristlets from Anthropologie. 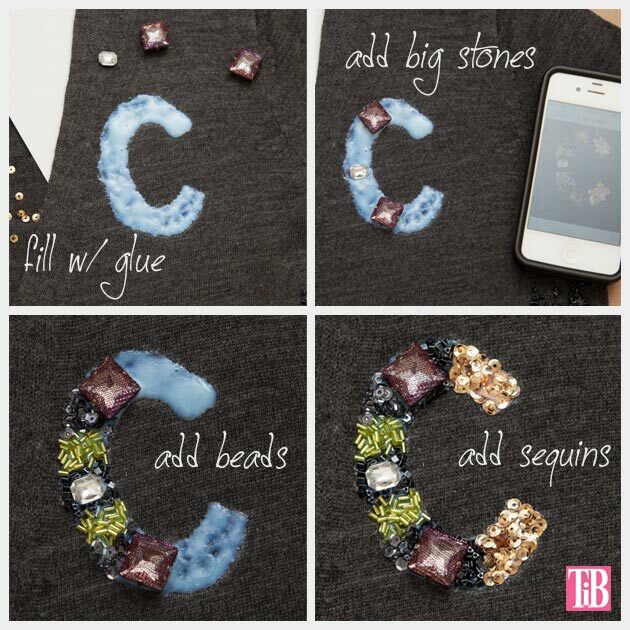 I love the idea of filling in the letter with lots of sequins and beads for extra sparkle and color. If you don’t want to put this on a sweater you could monogram a bag, a book or anything else you want. 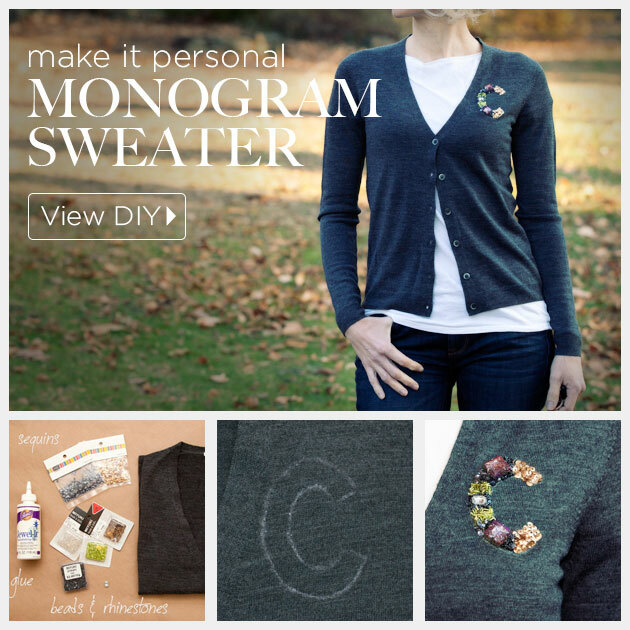 Leave me a comment and let me know what you monogrammed! 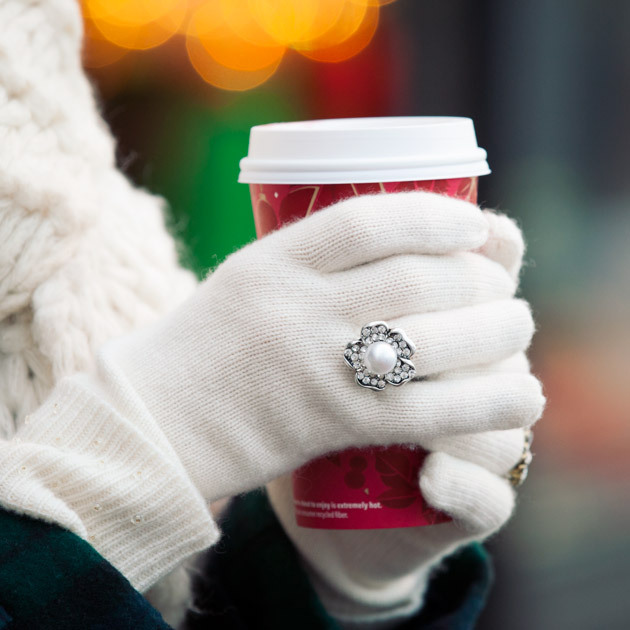 Love love love this, Cathy! 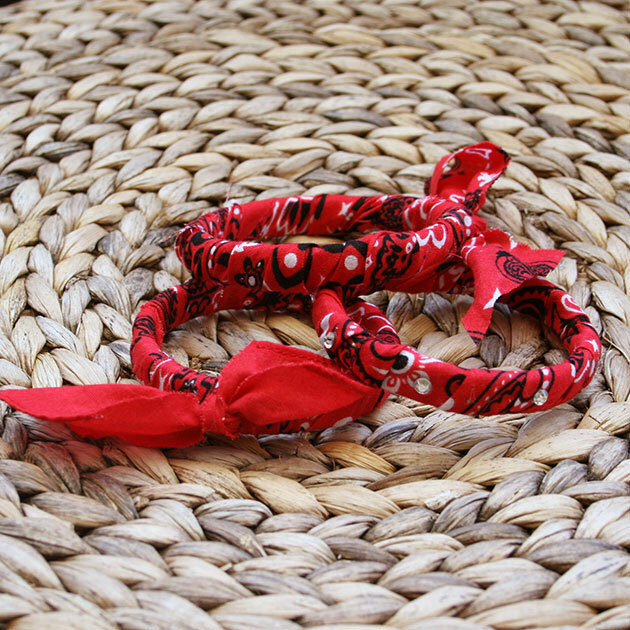 Such a fun and unique way to really personalize an ordinary piece of clothing! Thank you Lia! It’s so simple but it really makes a big statement! Thank you for sharing my project Anne!!! Craft Gossip is such a great site!